First Second Books put together an epic blog tour for Fable Comics. 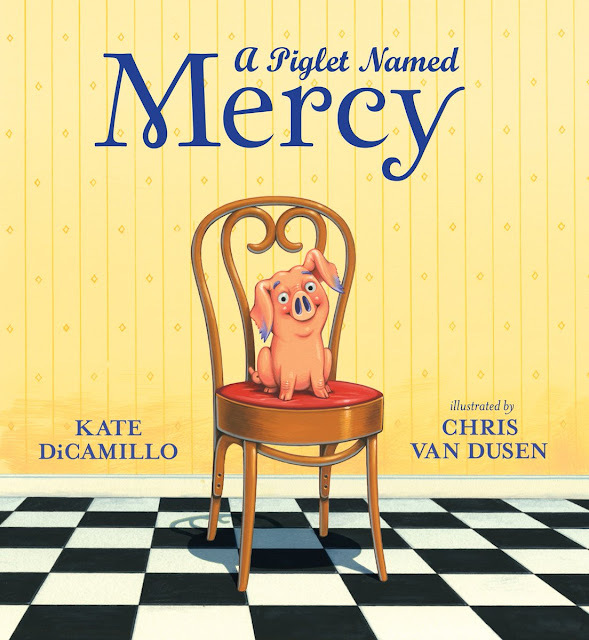 Today is my turn to host an illustrator and celebrate a fable. The Fable? 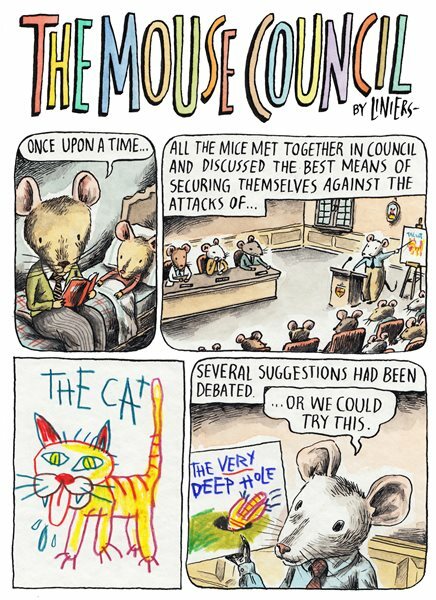 "The Mouse Council"
Thank you, First Second and Liniers! I think Aesop’s fables are a wonderful spring of imagination and intelligence. I loved them as a kid and as a grownup. The reason the are handed down from generation to generation is that they´re vehicles for tiny truths. We as a species treasure our tiny truths. ”The Mouse Council” is this witty little tale that let us know that one thing is to have an idea and assume that we're so smart... but if there´s no way to make it be... Well, it amounts to jibber jabber. I created the illustrations for “The Mouse Council" with ink, watercolors and colored pencils. I had to come up with the way tiny mice would draw and write. That was the most fun. Chris Duffy and I met a billion years ago in New York for a just a moment... and a billion years later he still remembered me and ask me to be in this book. Thanks, Chris! When I was in elementary school I was shy and liked drawing. Two things that go together very well. I wish I hand´t been as shy, but maybe I would´t have developed any skills as a cartoonist. So go figure. Reading is someone lending you their imagination and intelligence. If you like reading you get to be many people. Comics are reading and watching movies all in one... and different. 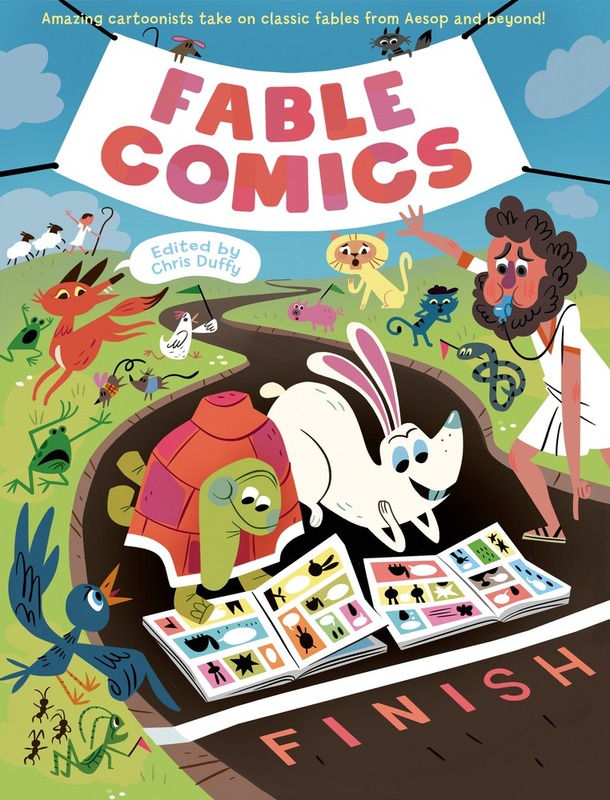 I love that comics have finally broken out of the tiny space artist used to have to develop their cartoons. Movies and novels were´t confined to adventures and jokes. I don´t know why comics were (and some geniuses really made them work within those parameters) but I´m very happy that´s over and we get to write and draw whatever we feel we have to. Mr. Schu, you should have asked me how´s the weather down there in Argentina? I would have responded: "Why, thanks for asking. Nice, a little rain."